August 29 is the International Day against Nuclear Tests. August 29 is the International Day against Nuclear Tests. This day was proclaimed by the decision of the UN General Assembly on December 2, 2009. The draft resolution was proposed by Kazakhstan. 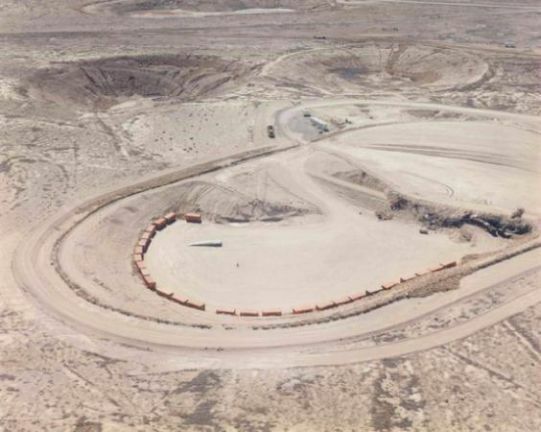 On that day in 1991 the Semipalatinsk Test Site was closed by the Decree of the President of Kazakhstan Nursultan Nazarbayev. 26 states became coauthors of the resolution including Armenia, Belarus, Tajikistan and Turkmenistan. The Semipalatinsk Test Site was created in 1948 especially for the first Soviet nuclear device test. In 1949-1989 at least 468 nuclear tests were carried out at the Semipalatinsk Test Site. The total yield of tested in 1949-1963 bomb was 2,5 thousand times more powerful than Hiroshima bomb. 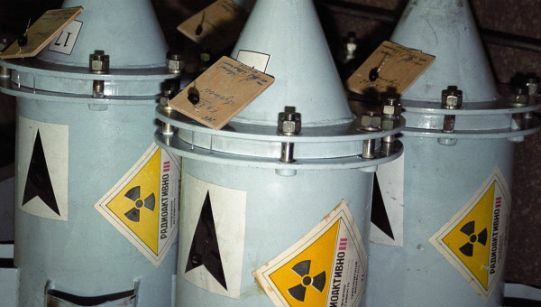 Nuclear tests resulted in radioactive pollution of the Eastern part of the territory of Kazakhstan. Soon after the proclamation of the Independence the President of Kazakhstan Nursultan Nazarbayev signed the Decree closing the polygon. By 1994 all Russian military units working at the test site left Kazakhstan. Approximately 300 thousand people were officially recognized as the victims of nuclear tests. High mortality rate, critical level of cancer cases, congenital pathologies still remain in the Semipalatinsk region. Life expectancy here is limited to 40-50 years of age. The International Day against Nuclear Tests is aimed to actively inform people about the consequences of nuclear weapon tests and any other nuclear explosions and the need to abolish them. The Semipalatinsk Test Site was one of the two main nuclear polygons of the USSR in 1949-1989. During its existence the polygon brought many problems to people who lived close to it polluted vast territories of Kazakhstan and Russia and contributed to people’s negative attitude toward products produced in polluted regions and to name but a few. The polygon was used for various nuclear weapon tests both under the ground (in galleries and holes) and in the atmosphere. On August 12, 1953 thermonuclear weapon was tested in the atmosphere. The yield was place at the special tower at 30 meters from the ground. After that rapid pollution of the territory of polygon and neighboring lands. On November 22, 1955 another one thermonuclear bomb was dropped from aircraft and detonated at 2 km from the ground. In 1949-1989 at least 456 nuclear tests were carried out. 616 nuclear and thermonuclear devices were exploded, including at least 30 ground and 86 atmospheric bombs. Significant ecological damage was caused. The population of the region was exposed to radiation resulted in illnesses, premature mortality and genetic defects. Information about this collected by the Soviet scientists is still on secret list. Explosions were stopped only in 1989 and in 1991 the polygon was closed. Anti-nuclear movement “Nevada-Semipalatinsk” and its leader Olzhas Suleimenov played a crucial role in this process. However, it didn’t reduce the threat. Nowadays the territory of the polygon is still inhabited (this is the only such place in the world). The territory of the polygon is not protected despite the fact that it still contains thousands of obvious and hidden threats to people.